Flexibus has been appointed by the National Transport Authority as the Transport Coordination Unit(TCU) for Louth(Louth Linx), Meath(Flexibus) and North Fingal(NIFTI) under the Rural Transport ‘Local Link’ Transport Scheme. The TCU’s will be linked with the local authorities and will devise an annual public transport plan, including rural bus services as well as assisting in the administration of the rural hackney licence and other forms of community based transport provision. Rural Transport services will continue to operate as normal but now under the Local Link brand. The purpose of the new TCU arrangements is to strengthen the network of services across all three areas and improve integration with other bus and rail services. The TCUs will be the despatch centres for all services. Further details will be announced as new arrangements for providing existing services are developed and customers will be advised by their current operator. 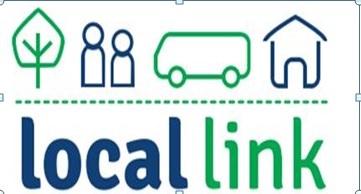 Local link Louth, Meath and Fingal – Meath Accessible Transport Project CLG., is the Community Transport group operating in the Louth Meath and Fingal area. We are a limited company, run by a voluntary board. The company is funded under the National Development Plan through the Rural Transport Programme. The R.T.P. is the response by the government to the shortfall in available public transport in rural areas. Up until last year, there were 35 such companies. Through amalgamations, there are now 18 such companies. They are now called Transport Co-Ordination Units. Flexibus being the group that operates in Louth, Meath and Fingal. Local Link Louth Meath and Fingal run lots of services on a daily, weekly, fortnightly and monthly basis. These services operate between different parts of the Counties and beyond (see timetables for Louth, Meath & Fingal). Everybody can use community transport. We provide these services using our fleet of 25 buses ranging from an 8 seater to an 18 seater bus. All of our buses are fully accessible and are subject to rigorous safety checks. Each seat has a seat belt and we use the most modern type of wheelchair restraints. We also use private operators in various parts of the counties in order to increase capacity. All of these operators are subject to the same checks as our own buses, and must meet our safety standards before commencing work for us. 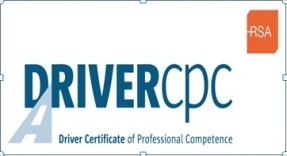 All of our services are operated by fully trained drivers, trained to a highly recognized standard. On services which require passenger assistants, our passenger assistants are fully trained to a high standard, in areas such as First Aid, Manual Handling and care and supervision of passengers with disabilities. Scheduled regular public services: These services are timetabled services open to any member of the public and can accept Free Travel Pass. They include daily commuter trips, weekly shopping, health and pension services, twice monthly shopping services and monthly health services. Scheduled Dial-a-Ride services: A Dial-a-Ride service is a public service, which makes available a vehicle for transport if a passenger or group has a transport need that cannot be catered for elsewhere. The Dial-a-Ride service operates on bookings only. Meath Accessible Transport Project was set up in March 1999, as one of two pilot projects set up by the Department of Justice Equality and Law Reform. Its purpose was to engage in community action planning of accessible transport, as envisaged by the Commission of the Status of People with Disabilities. While the focus of the initial period of activity was on physical accessibility and on disabled people, many of the issues identified involved wider community transport issues. 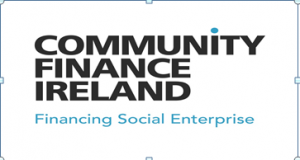 In conjunction with this funding they made a successful application for funding under Social Economy Programme to set up a Social Economy Scheme. The Company Meath Accessible Transport Project CLG, Flexibus was formed in June 2002. Use of downtime on vehicles with private providers. This ‘bottom up’ approach has been successful in delivering public accessible transport services in Co. Meath. Passenger trips continue to grow as the project develops and research is continuing to deliver services to all parts of County Meath.